With all the different sports camps offered each summer, choosing the right one has become a challenging task for parents. eCamps, a leading national network of sports camps, has provided some insightful tips to help families choose the best camps for their developing athletes. Whether it’s fine tuning the fundamentals or looking for a competitive training camp, it has become essential for parents to know just what to look for. eCamps Inc., one of the nation’s top networks of sports camps, understands this importance and has established their camps with these families in mind. There is nothing better than hearing from children as they pile into the van after camp saying, “Mom, coach helped me score a goal,” or “Dad, I'm so tired, I learned so much today”. Proper feedback and personalized attention is what each camper deserves from their sports camp experience. That is why eCamps is committed to maintaining a low instructor to camper ratio. For team sports there is an 8:1 camper to staff ratio and for individual sports a 5:1 ratio. Great instructors need organizational skills, positive coaching manners and age-appropriate skill development milestones. eCamps instructors have all excelled in their respective sports and are considered the finest in the country. 100 percent of the energetic instructors have had collegiate playing experience, with many going on to prove themselves at the professional and national level as well. What makes a great coach is not solely playing experience, but more importantly their commitment to coaching youth. eCamps’ directors are all Double Goal Certified by the Positive Coaching Alliance and have made a promise to educate life lessons through sport. Top-notch school accommodations and facilities are a prerequisite for a quality camp experience. Good food, easily accessible campuses, comfortable beds, good field conditions and fun social interaction are all necessities. While the main focus of a sport-specific training camp is on skill development and instruction, the overall camp experience is also defined by how the campers feel off the field or court. eCamps has chosen its 2012 camp locations based on the high standards of their camper’s families. They identify premier college campuses, prep schools and recreation facilities based on their commitment to providing the company with exceptional facilities - whether it be the newest turf fields, state-of-the-art tennis facilities, or glass-backed international squash courts. Let us not forget that these are children and it’s summer time! 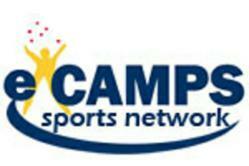 Fun through sports education is at the heart of the eCamps sports network. It is important for campers and their parents to enter the camp experience with an open mind to enjoy, smile and gain life lessons along the way. Learning doesn’t end at the sound of a whistle. At camp, eCamps offers other activities (usually at night) to get campers away from their particular sport, relax, and provide some social balance to the day. Some of these activities include movie nights, pizza nights, putt-putt, ping-pong and karaoke. Making new friends is a time honored camp tradition and one which they embrace and nurture. As the program of your choice nears, don’t hesitate to check in with each camp regarding roommate requests, skill/age break-downs, a final staff roster, etc. Campers may register for any program with openings right up until the start of camp, and eCamps is proud to be available 12 hours a day to answer any questions about our programs. The eCamps network of sports camps is comprised of GameBreaker Lacrosse Camps, Revolution Field Hockey Camps, adidas Tennis Camps, Revolution Softball Camps and the International Squash Academy. For information on any of these camps, please visit http://www.eCamps.com.